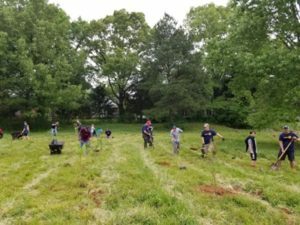 Madison Rotarians came out in full force this past Saturday to plant 200 trees in Madison’s new Mill Road Greenway park. 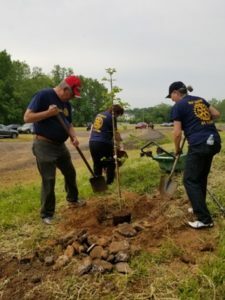 About 40 Rotarians, family, and friends participated in this Community Service project in response to RI President Ian Risley’s Tree Planting Initiative. 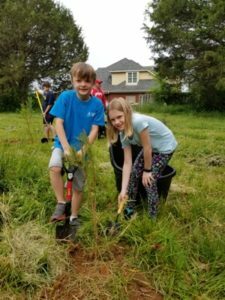 The Club received a $1000 grant to purchase the trees and the City of Madison supported this effort by pre-digging some of the holes. 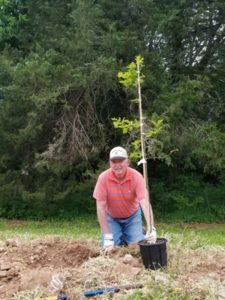 We actually had more trees than expected, so we had to dig the rest the old-fashioned way. 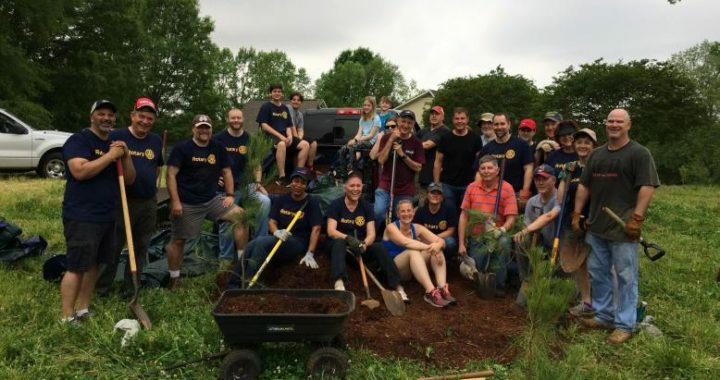 It was another great day to be part of the Family of Rotary. Posted in Community Service and tagged Community, Done-in-a-Day, International.